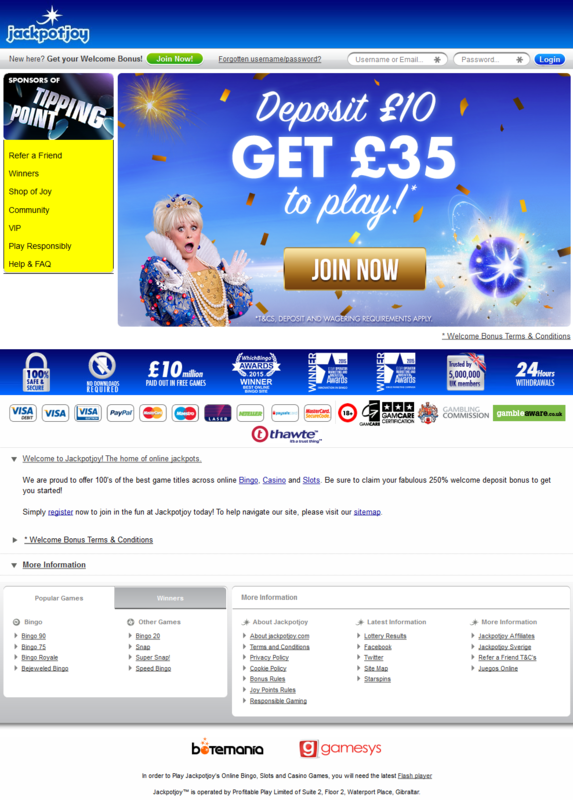 Jackpot Joy is an accredited online casino, Bingo, arcade and skill games site. The site is owned and operated by the Profitable Play, and it’s licensed by the Gibraltar Regulatory Authority as well as the United Kingdom Gambling Commission. It offers incomparable high entertaining games that are coupled with massive prizes. There are daily, weekly, and monthly draws that are conducted where gamers can win up to 100 sterling pound free. 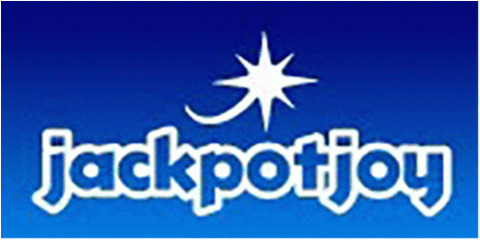 Jackpot Joy is a great site, with loads of nice hosts who are very friendly and good to chat to. It has loads of great slot games and loads of bingo rooms to choose from. Their daily and weekly games are good too with nice wins and handsome rewards. The Jackpot joy runs just like a variety show with different games and offers. The offers include cash and casino credits, household appliances, music players, movie passes among others. Bingo makes its origin which means that a lot of live chat and a far more social experience than a typical online casino. The Jackpot joy offers up to 120 skill, arcade and casino games with the capability of running on the GameSys platform. It has licensed slot versions of favorite TV game shows such as Deal or NoDeal and Strike It Lucky. These games have superb graphics and Flash-based sounds. Another astounding feature of the platform is that the games load very fast without the need of a software download or installation. 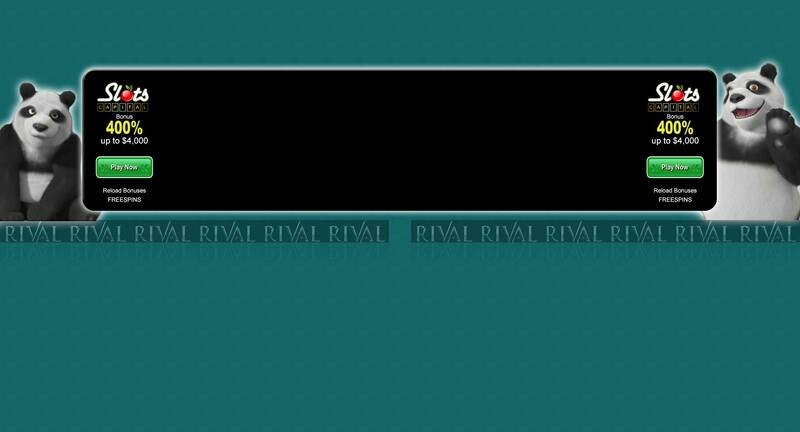 The casino also lets other players win while they play the game. Any player who enters the gaming is automatically entered into the raffle games where they could win anything from home theaters or vacuum cleaners to cash prizes. The University of Hertfordshire, department of Statistical Services and Consultancy Unit audits the randomness of the game results to ensure fairness of the games. 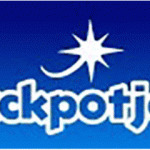 Jackpot Joy Casino holds about 95 percent average payout rate across all its games. It also offers loyalty points where the frequent players are given trip offers or shopping, mortgage and rent money. The casino accepts deposit and withdrawals that are made in Euros, British Pounds, and US Dollars. They also accept withdrawal and cash deposits using MasterCard, maestro UK, visa, NEteller, Switch, and Solo. Jackpot Joy imposes variable withdrawal bounds/limits depending on ways through which the gamers process their withdrawals. Customer support service is made possible via email, live chat as well as toll-free numbers. There are also instant messaging moderators that are found in chat rooms to ensure all the customer queries are responded. It also distinguishes itself from other casinos by prizing the helpful players, that is, those players who answer their fellow games questions with money and comp points. For those who have tried Jackpot Joy say that they that they are pleasantly surprised by it. It’s a site that well and correctly puts the merriment into online casino games. There’re always plenty of personnel to chat to; their games are original and actually entertaining. The site is highly recommended, especially if you want to indulge in some bingo on the side!